New England is well-known as leaf-peepers’ heaven, but if you’re not on the East coast there are many other locations that will also knock your socks off with spectacular fall color. 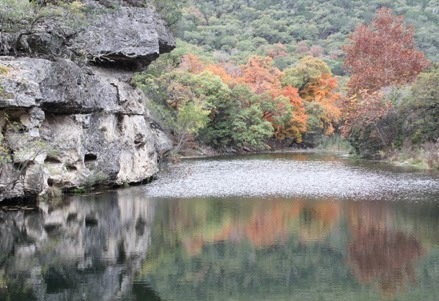 Consider visiting one of these great leaf-viewing regions west of the Mississippi River. 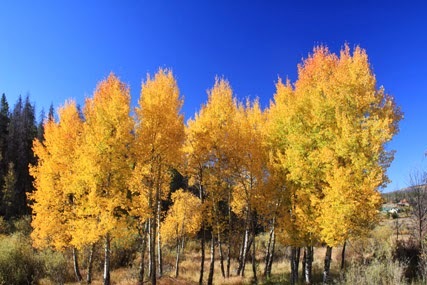 Colorado—Aspens, the quintessential Colorado tree in the Rocky Mountain area, glisten gold and red. Maroon Bells, situated southwest of the aptly named town of Aspen, are quite possibly the most photographed mountains in North America. No wonder: The peaks are an ideal spot to capture the glory of fall color. Texas—Texas state parks offer some of the best places to view spectacular fall foliage. You can see autumn’s display of dazzling color from legendary Bigtooth maple trees at Lost Maples State Natural Area in the Hill Country. 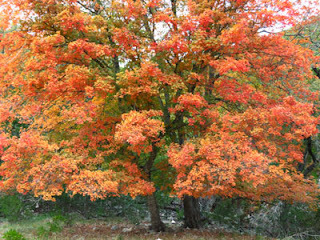 Shades of red and gold of sweetgum and oak in the pineywoods of East Texas add to autumn’s display. Cottonwoods turn a brilliant yellow during fall in the Panhandle and in far West Texas. Wisconsin—Take in the leafy show in Wisconsin Dells by boat, zip line, or horseback. 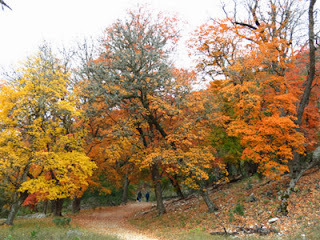 Beautiful colors are found in the Kettle Moraine State Forest. You can start exploring in Sheboygan County, where more than 30,000 acres of forest provide dazzling color. California--Fall foliage rivals Vermont leaf peeping, with some of the finest visual experiences in Sequoia and Kings CanyonNational Parks on the southern slopes of the Sierra Nevada Mountains east of San Joaquin valley. Look for a virtual rainbow of dogwoods, black oaks, aspen, and black cottonwood. Fall color starts in August at about 10,000 feet and drops by elevation at a rate of 500 to 1,000 feet a week for three months. Arkansas— There are an incredible number of tree species in the Ozarks (42 oak species alone). Each species changes at a different time in a different pattern. Maples, hickory, beech, ash, hackberry, gum, and more all are on their own schedules. The first color turns begin along the rivers in low valleys then progress up the hillsides. 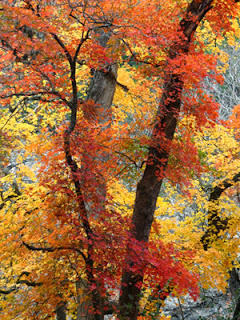 Missouri—Tree species including birch, maple, sycamore, cottonwood and sassafras provide a brilliant panorama. Red and purple colors peak in mid-October when sugars made during warm days are trapped in the leaves during cool nights. This is when maples, ashes, oaks and hickories are at the height of their fall display. This progression of color change starts earliest in northern Missouri and moves southward across the state to the Bootheel. Utah--Scenic Byway 12 travels through the heart of the American West. This 124 mile route negotiates an outstanding landscape of canyons, plateaus, and valleys where fall bursts into color. The amazing glow of aspen and oak in mountains and meadows is a sight to behold. Michigan—Trees lining highways provides some of the best reds and oranges. 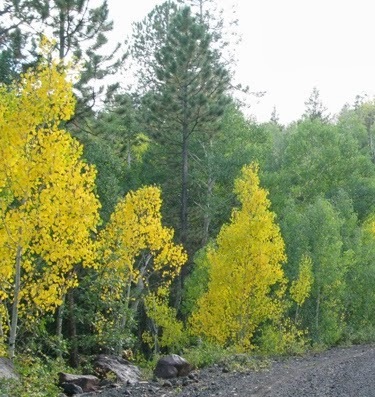 Drive on country roads through the Upper Peninsula to see breathtaking vistas in autumn. With ninety percent of the area forest covered, you are sure to be engulfed by a sea of red, orange, gold, and greens from mid-September to early October.